The AWS Welding Fundamentals Course provides a comprehensive overview of the basic principles of welding. Participants will learn the basic science and practical application of the most commonly utilized welding processes along with other essential topics, including welding terminology, weld design, welding safety, electrical theory, the weldability of metals, and welding quality control. Presented in short, easy-to-understand modules, this multimedia, online course is ideal for both students and professionals who want to expand their core competencies. MODULE 1 – What is Welding? The AWS Welding Fundamentals Course is designed for anyone who wants to familiarize themselves with the science, methodology, terminology, and applications of the most commonly used welding and cutting processes. This course is ideal for students who need to learn the basics and established welders who want to expand their core competencies. The course is also perfect for salespersons, supervisors, and quality assurance personnel who want to expand their knowledge of welding in order to excel in the welding industry. 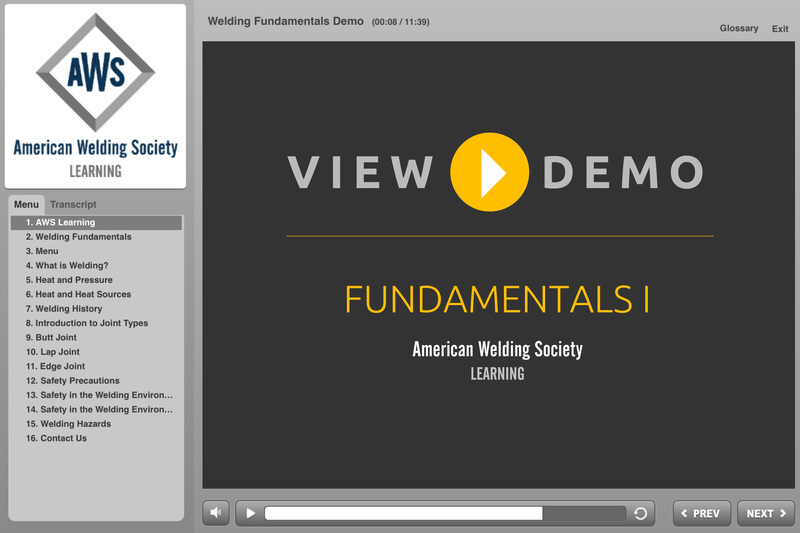 While comprehensive, the AWS Welding Fundamentals Course was developed specifically with the beginner in mind. 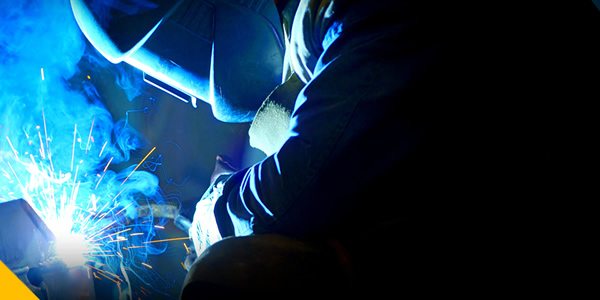 Registration is open to anyone with the desire to expand their understanding of welding. Yes. Upon completion of the final course module, participants are prompted to take an exam designed to evaluate their comprehension of the subject matter. The completion exam consists of 50 multiple-choice questions and must be completed within a 90-minute period. Participants who do not attain the 75% passing score may attempt to retake the exam a second time. Participants who attain a score of 75% or more on the completion exam earn an AWS Certificate of Completion and 14 Professional Development Hours (PDHs). The AWS Certificate of Completion can be downloaded and printed directly from the webpage. Yes. Participants that receive a score of 75% or above on the Welding Fundamentals Completion Exam will receive an AWS Certificate of Completion and 14 Professional Development Hours (PDHs). Yes. Professional Development Hours (PDHs) earned through American Welding Online courses can be applied towards recertification provided the PDH’s are earned during the certification period. Yes. Participants that receive a score of 75% or above on the Completion Exam will receive an AWS Certificate of Completion and 1.4 IACET Continuing Education Units (CEUs).